WhatsApp is arguably the most used app on mobile phones, hardly you see a phone that doesn't have WhatsApp installed, as widely used WhatsApp still lack the feature to recall already sent messages, Many a times we send messages that we might feel the need to delete immediately, but unfortunately WhatsApp doesn't allow delete feature for already sent messages. However, those using WhatsApp Mod Versions are currently enjoying the Recall or Delete sent message feature. 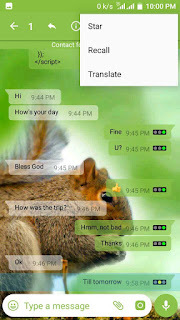 I updated my GBwhatsapp to the latest Version 5.90 and I was able to recall my already sent message. 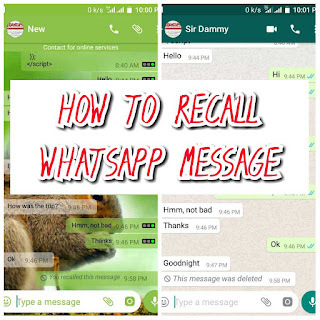 What Recall WhatsApp message, simply mean is that whenever you recall your already sent messages on WhatsApp either in a private or group chat it will display "You recalled this message" and to anyone that receive the sent message it will display "This message was deleted". 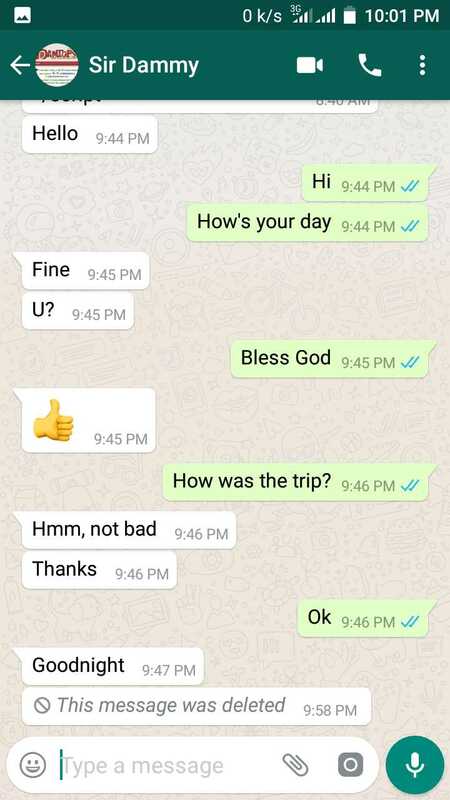 Immediately it will Recall the message from the receiver and this is the outcome below. Hopefully subsequent WhatsApp update is expected to include "Recall or Delete" sent message feature. 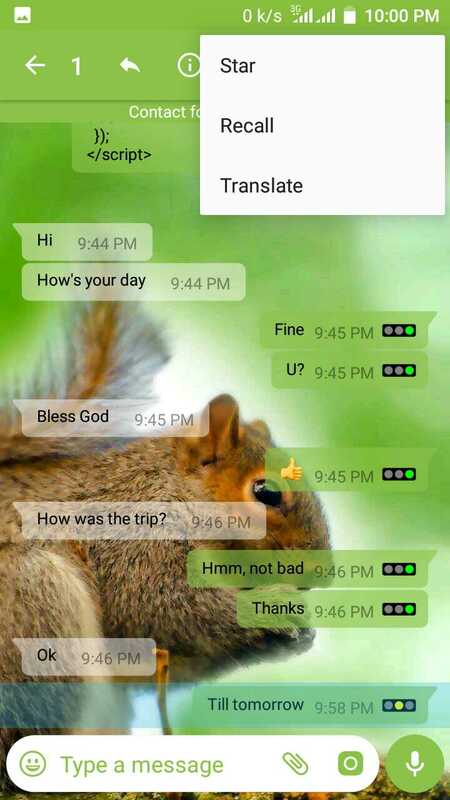 Are you using the WhatsApp Recall feature? kindly share with us your experience using this new update through the comment box below.